Emergency services were alerted to a stabbing on Homerton High Street, near the corner of Kenworthy Road at 5.10 pm today. They found a man in his 20’s suffering from stab wounds. 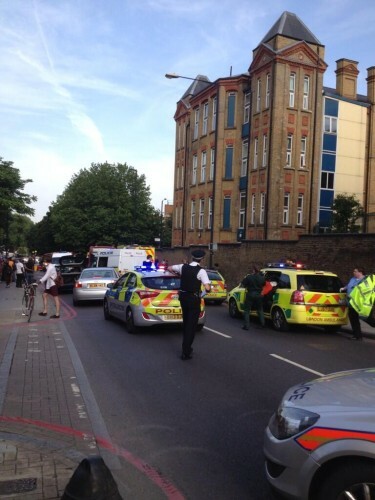 He was transported to an East London Hospital, where he was pronounced dead at 6.30 pm. Anyone with any information is asked to call detectives on 101. A102 Homerton High Street / Kenworthy Road is closed and buses are being diverted. Drivers are being asked to find alternative routes. 2 Responses to "BREAKING: Man dies following fatal Homerton High Street stabbing"
Apologies to those who had problems loading this website. We experienced server problems for a few hours.